UST Brand WetFire Brand Tinder 5-PK | BUDK.com - Knives & Swords At The Lowest Prices! 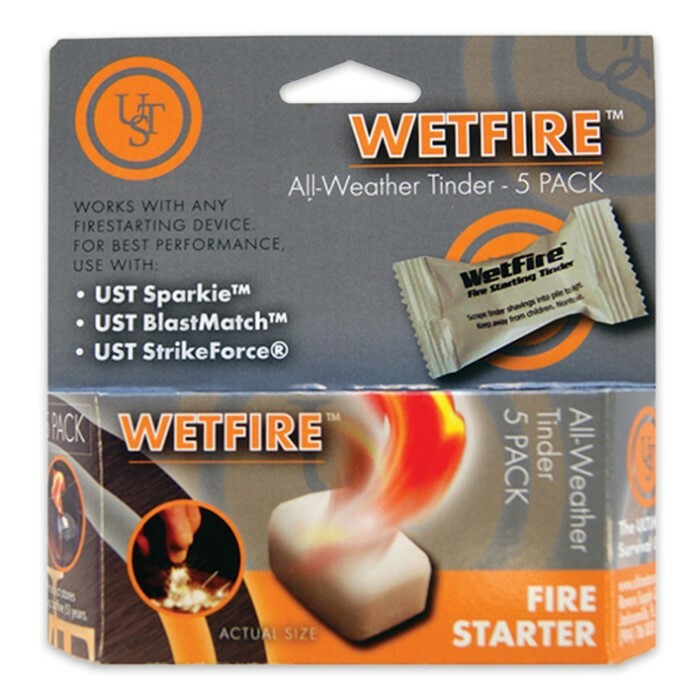 When there isn’t much tinder available to build a fire when you’re out in the wilderness, you can count on WetFire Tinder to get it going. It’s universal lighting material that is safe, lightweight, and easy to carry. 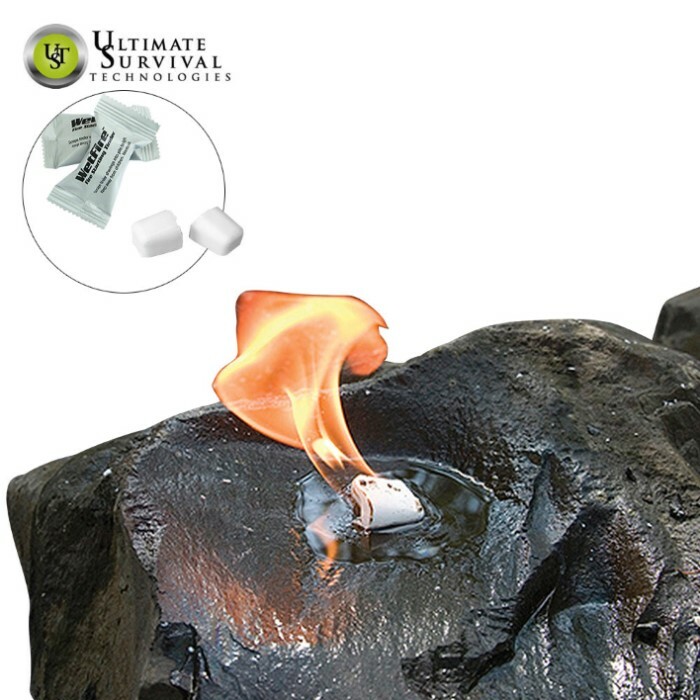 They are guaranteed to light in windy or wet conditions and will extinguish easily. 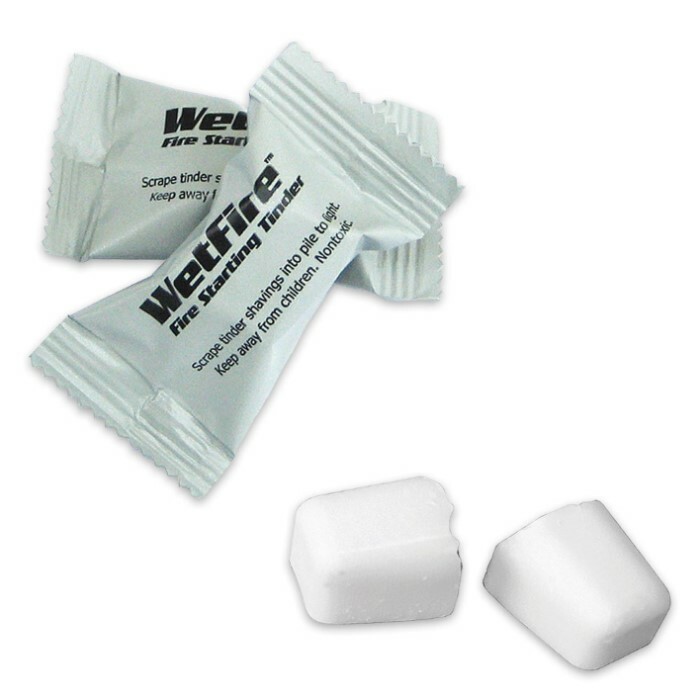 The cube-shaped tinders are individually packaged to maintain freshness and have a five-year shelf life. There are five in this pack.